A skilled communicator captures an audience’s interest by creating tension between contrasting elements—and then provides relief by resolving that tension. This is the foundation of an interesting and compelling message. You need to deliberately set different ideas or thoughts in opposition to one another in order to create interest. For example, some common presentation structures that have contrast intrinsically built into them include: problem-solution, cause-effect, compare-contrast, and advantage-disadvantage. Using one or more of those structures to present your message will instantly make it more engaging. Moving back and forth between contradictory ideas encourages full engagement from the audience. Don’t let them get too comfortable in one place before you jolt them to the other side. It really boils down to the fact that every great speaker describes “what is” and then contrasts it with “what could be.” Communicating an idea juxtaposed with its polar opposite creates energy. 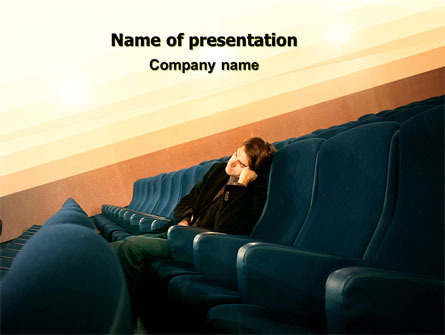 To the audience, this movement feels natural and actually propels your presentation forward. You might think that this only applies to explaining what the world looks like today (or historically) versus what it could be tomorrow. That’s the most obvious type of contrast. 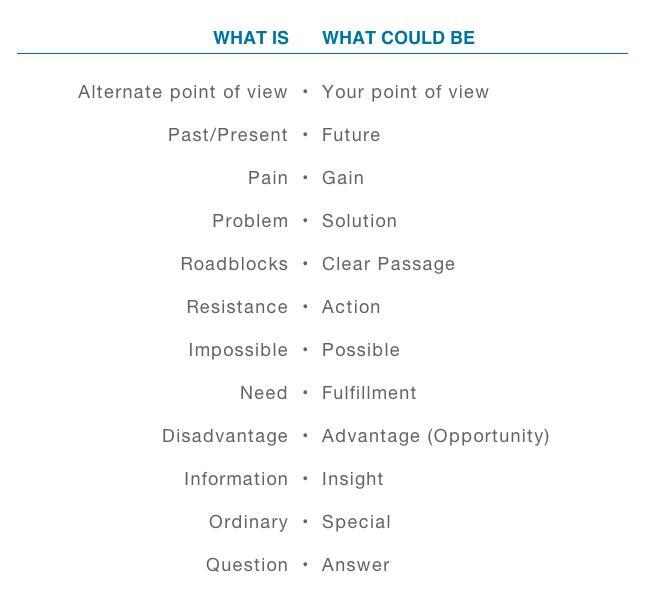 But it could also be “what the customer is like without your product” versus “what the customer could be with your product.” Or “what the world looks like from an alternate point of view” versus “what the world looks like from your point of view.” Basically, the gap is any type of contrast between where the audience currently is and where they could be once they know your perspective. If you already have contrasting elements in your message, think about ways to amplify and expand on the existing differences between them. Make the most of these inherent contrasts by describing them in vivid detail. Don’t gloss over differences. Then be sure to intentionally structure your presentation around that contrast, alternating between one side and the other. Here’s a list of common contrast elements that you could incorporate into your next presentation. But we’re just getting started on how to effectively use contrast to be a compelling communicator and avoid the boredom trap. Stay tuned for more posts on how to avoid the presentation mistakes you might be making. Your audience will thank you. Do you get the feeling that people aren’t connecting with your message on a personal level? Maybe you put a lot of time and hard work into your presentations, only to receive blank stares from a tuned-out audience. Here’s my secret: The easiest way to get your audience to care is to add elements of emotional contrast. Emotions have a tendency to pique our interest, and incorporating both positive and negative emotions into a presentation can transform a stagnant message into something stimulating. Here are some common mistakes people make when it comes to emotional content in presentations. Are you making an effort to add genuine feeling to your talks? An audience that doesn’t have any emotional attachment to a message will become disconnected, distracted, and, worst of all, bored. Evoking laughter, gasps of awe or fear, concerned looks, and even applause throughout your talk are all signals that you’ve triggered an emotional reaction in your audience. Audiences love these moments, but they require some additional effort from the presenter to both dream up and execute. The majority of presentations are purely analytical. They offer information but no human connection. The goal is to mix analytical content with emotional content, which creates contrast and therefore creates interest. Look at any of the analytical topics from the below list. By themselves, they don’t have any emotional charge to them—neither pain nor pleasure. Yet, they could all be presented in an emotional way. For example, you could say that an acquisition took place. But that fact is neutral until you tell the story of the struggle it took to acquire the company or the heroics displayed by both parties to expedite it. Data is purely analytical until you explain why it matters. Which type of content below do you tend to incorporate more into your presentations? How could you add an emotional element to it? The best moviemakers in the industry understand that emotion is the secret to making sure audiences don’t get bored. In film, emotion is measured beats. Beats are the smallest structural element in a movie; there can be several in one scene. In fact, scenes are analyzed to make sure there is a shift of emotion in every single one. Screenwriters carefully ensure that the emotions are moving between pain and pleasure so that the audience remains engaged. Moving back and forth between analytical and emotional content works for presentation audiences as well. You should deliberately build emotional peaks in your talk, taking your listeners on a journey of tension and release. Remember, contrast is critical for keeping the audience interested. You don’t need to get rid of your data-rich graphs or statistics, just find ways to sprinkle in some humor, suspense, or story. Inventory your slides, identify any content that can be transformed from analytical to emotional, and change it wherever appropriate. Involving your listeners emotionally helps them form a relationship with you and your message. Your audience will thank you with their laughter, tears, applause, and attention.